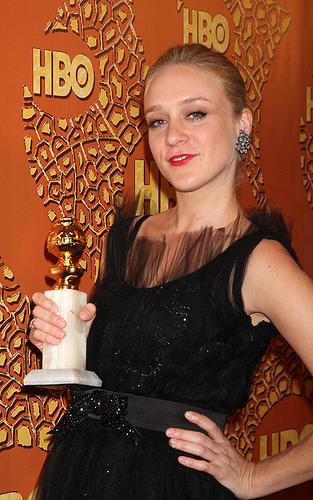 Best Supporting Actress in a TV Series - Chloë Sevigny, Big Love. I smiled as I watched her reaction which was completely natural and funny and fair and I think acts as a great testimony to what a lovely and honest person she is. If you watch the acceptance speech, note how lovely that she thanks her New York friends.